I did 28 push-ups today, for real! I’ve never done 28 push-ups before and surprised myself. I’m doing a 30 day challenge to get ready for summer, and everyday for the past 24 days the reps have been building up. 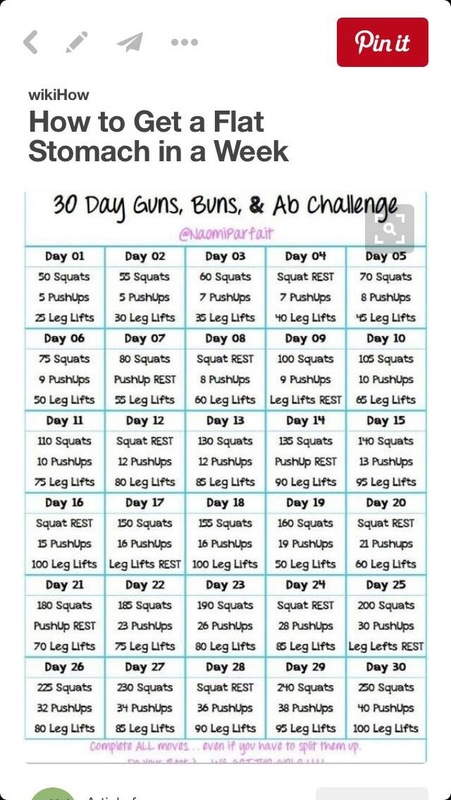 I am loving this strength challenge that is pushing and motivating me to be stronger and more fit. I am surprised that I can now do 185 squats and a ton of leg lifts! I am loving that I’ve stuck with the challenge and haven’t missed a day. This is practicing discipline. I think I’ll do a 30 day food related challenge next month. This daily challenge inspires and motivates me and I’ve found my stick-to-it-ness! Thank you Cori for originally sharing the challenge on FaceBook. I love it! Do you like challenges? Are you following any that you love? I wish you well! That’s awesome! I am not there yet. Are you doing the challenge too? I love it and feel so much stronger!! Not the challenge, just trying on my own. I am working on making my arms stronger. I have tiny wrists. Wow!!! I’m very impressed. I try to get my walk in every day. I thought I’d freeze to death with the terrible winds we’ve had out here. I even put a hat on tonight-yuck I want summer. Ok Toots, I am motivated!! I start tonight! !